I felt the need to write this post because too often I see athletes fall into the trap of over exerting themselves during busy periods of stress. Trying to juggle study, exams, work, family and personal commitments while also trying to cram in their training is commonplace. Usually one of two things happen here, the athlete suffers burnout, over training, non-functional over-reaching OR distances themselves from their training/ athletic pursuits. It does not have to be this way, there are many top-level athletes, we’re talking world class here, who excel in each area! In this short blog I will outline some tips that I’ve personally found useful going through the same issues myself, some strategies we use with our athletes here and as always scientific evidence to tie it together! Just like your various phases of training where each aspect of your fitness takes priority at different times, your life should be no exception! I don’t think a so-called balance is ever fully possible for competitive sports people. The best way to explain this is through an example; take your average college student finished lectures in early December and then faced with upwards of five exam days in the gap between then and Christmas Eve. A lot of people will try continuing their training as normal here whilst balancing it with trying to excel in their exams when their priority should be the exam and the maintenance of fitness. After the last exam our priority switches and we have two weeks off, so we now apply our overload in training! At each point in the year different things will require more of your attention, therefore, planning is key – don’t look to do a big endurance block then be disappointed when it’s not possible due to other commitments. This ties into the above point but on a more “micro” level. Lay out your time available to either your coach or yourself as far in advance as you can, essentially, you’re looking for how many minutes you can train per day. It’s important to be realistic here. Factor in travel times, getting kitted up etc so you’re not expecting any more out of yourself than is situationally possible. On the flip side you also need to make time for training in periods where it is YOUR PRIORITY. Think of your commutes to work – can it be done by bike? Can you bring your turbo into work and knock out a 45-minute session? Can you go to bed a half hour earlier and get up at 6.30 instead of 7AM if you’re a morning trainer? Have a training plan. On a very basic level know what the goal is when you head out on the bike be that pure enjoyment or anaerobic capacity!! 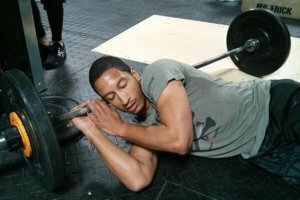 One thing we all can relate to is that in stressful times our sleep tends to suffer, a prime example of this is an athlete getting up 90 minutes earlier to train but going to sleep at the same time as always. A study by Van Rosen et al.1 which looked at sleep and injuries within the adolescent athlete population found that sleeping more than eight hours reduced the odds of injury by 61%. You need to evaluate your sleep; do you feel well-rested when you wake up? Do you have a regular sleep pattern that doesn’t fluctuate much from week to week? A recent study by Bonnar and colleagues2 highlighted the best way to improve sleep is by extending it (go figure!) i.e. bed earlier, wake slightly later etc. They suggested a similar sleep pattern should be kept into weekends also highlighting athletes should limit sleep ins within one hour of normal weekday wake-up time. Essentially this boils down to a consistent earlier bed time. There are many tips to improve sleep some of which being: creating an adequate bedroom environment in terms of light and temperature, plan wind-down periods before bed (don’t jump off the turbo into bed!) and the use of dim light/ blue light on electronic devices. Lastly, exercise has been shown to improve cognitive (brain) function in numerous pieces of research. One such study looked at both elite and recreational cyclists and found the professional cyclists exhibited a stronger inhibitory control (ability to focus on relevant stimuli in the presence of irrelevant stimuli)3. This was shown in a higher number of correct responses to a cognitive test. The professionals also displayed a greater resilience to mental fatigue with no decrease in their twenty-minute time trial performance after the test. Essentially this shows us that a higher level of training and its corresponding adaptations within the body make athletes more resilient to mental fatigue and could highlight an advantage during stressful times such as exams! 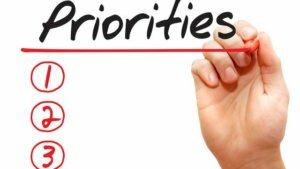 So, prioritize your commitments at different times, start to work on your time-management skills using some of the tips mentioned above, critically evaluate your sleep and finally recognize the importance of regular exercise on brain function! 1 Von Rosen, P., Frohm, A., Kottorp, A., Friden, C., & Heijne, A. (2017). Too little sleep and an unhealthy diet could increase the risk of sustaining a new injury in adolescent elite athletes. Scandinavian journal of medicine & science in sports, 27(11), 1364-1371. 2 Bonnar, D., Bartel, K., Kakoschke, N., & Lang, C. (2018). Sleep interventions designed to improve athletic performance and recovery: a systematic review of current approaches. Sports medicine, 1-21.